The Spam-y sandwich from Black Seed is the latest in the bagel bakery's cross-restaurant collaborations. Black Seed is teaming up with yet another eatery to collaborate on a unique menu item for the month of April. The three-location chain of bagel shops worked with one of New York City's most renowned Vietnamese restaurants, Hanoi House, to build a breakfast-worthy banh mi that delivers on both establishments' specialties. Served on Black Seed's sesame bagel roll, the Breakfast Banh Mi is stacked with "spam, a spread of pate, pickled carrots and daikon, cucumber, and spicy mayo topped with a fried egg." The collaboration with Hanoi House and chef John Nguyen came about out of a sheer love of the food and "their spin on Vietnamese classics," Black Seed's head baker Dianna Daoheung told Food & Wine via email. Considering a traditional banh mi is typically served on a lighter French roll, we asked Dauheung how hungry customers should expect the mash-up to stand up to the bagels and banh mis they might be used to. 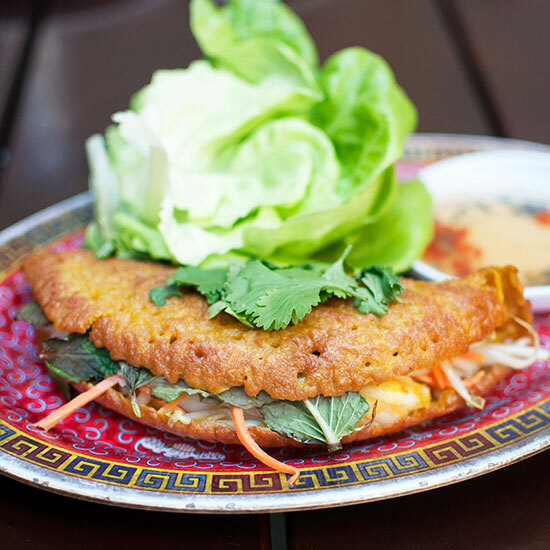 "They should expect the flavors of a traditional banh mi but with the richness of a runny egg... The bagel roll is a bit more chewy (as one would expect from a bagel)." Daoheung's description was spot-on based on our tasting of the sandwich today. The crisp and acidic pickled vegetables and spicy, creamy sauce cut through the smoky, saltiness of the Spam, while the egg yolk tied the whole thing together as a breakfast item (that was perfectly legit as lunch fare at 2 p.m.). The bagel roll does provide a softer, denser sandwich experience than a crusty baguette, but it's a darn good bagel so we're not complaining. Spicy food lovers might demand more of a kick, but by our estimation, it was the right amount of heat-intrigue for starting your day with something a little more interesting than a bacon, egg, and cheese. While a common ingredient in pan-Pacific cuisine, Spam might not be the first meat of choice for most New Yorkers' breakfast sandwiches but, if anything, the Breakfast Banh Mi is just on-trend. "I think Spam is making a comeback," Daoheung insists. "There are a few places currently making their own Spam, and it is coming back in 'vogue.'" Previous incarnations of Black Seed's special collaboration sandwiches include a bao-bagel hybrid Baogel with Nom Wah, a stromboli bagel—combining stromboli elements inside bagel dough—in conjunction with Emily's Pizza, and a Mediterranean-inspired sandwich with Celestine. 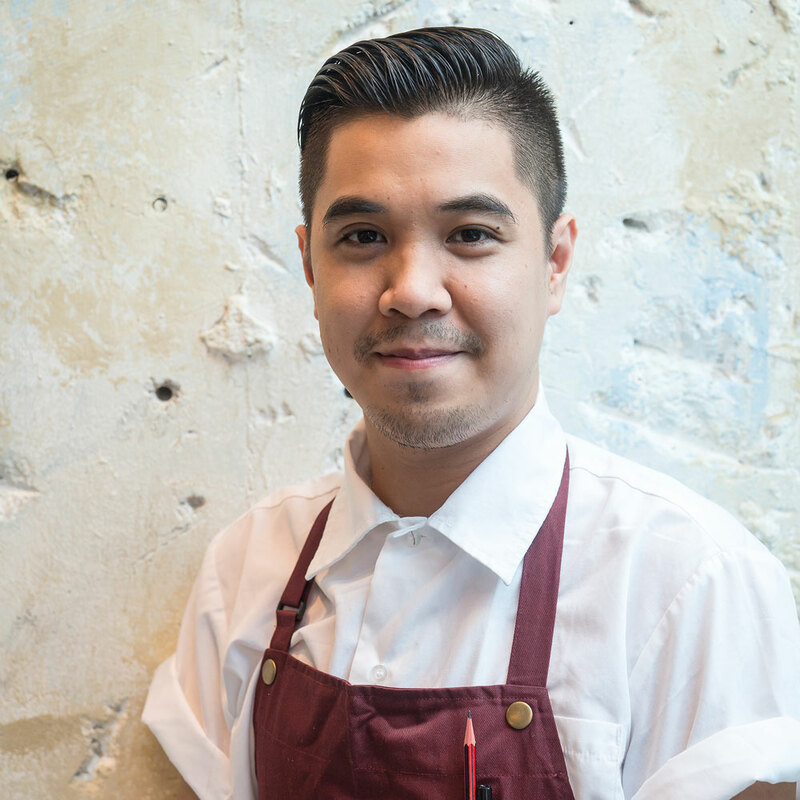 We asked Daoheung what factors play into two, seemingly disparate, restaurants joining forces. "The biggest challenge we face for these collaborations is making it work for Black Seed," she says. "Pricing, execution and keeping it in line with what Black Seed does can be somewhat tough for chefs with more equipped kitchens. It is important for us to have sandwiches that can be made quickly and work in a sandwich form." Clearly, simplicity is key, which is probably why the Breakfast Banh Mi sounds simply delicious. The Breakfast Banh Mi is available all month long for $11.00 at all three Black Seed locations starting today, April 2. Update 3:15 p.m.: The Breakfast Banh Mi will also be available at Hanoi House (119 St Marks Pl, New York, NY 10009) for brunch every Sunday in April from 12 p.m. to 3 p.m.